Fourth of July Weekend is popular in Cape May and rightly so! The town is packed with events commemorating Independence Day. For Fourth of July Weekend 2017, we have compiled a list of great activities to do with the kids in Cape May. We’ve also included several to check out if you have come down for a romantic weekend in Cape May too. Friday kicks off the weekend and for art lovers, the new Peter Max Summer of Love 50th Anniversary exhibit is a great show to see. It is also a night to catch the Will Rogers USA show at the East Lynne Theater. Kick off the morning with the Kiwanis Pancake Breakfast at Convention Hall starting at 7:30 am. Historic Cold Spring Village will be hosting their Independence Weekend Celebration and you can grab a meal at the Cold Spring Grange Restaurant or a craft beer sampling at the Cold Spring Brewery. It’s a great destination for Fourth of July Weekend in Cape May. The main event, the parade, starts at 1 pm along Beach Avenue. Perfect for our guests staying with us, as we are just a few blocks from the beach. Music fills the air at the new Rotary Park Bandstand. 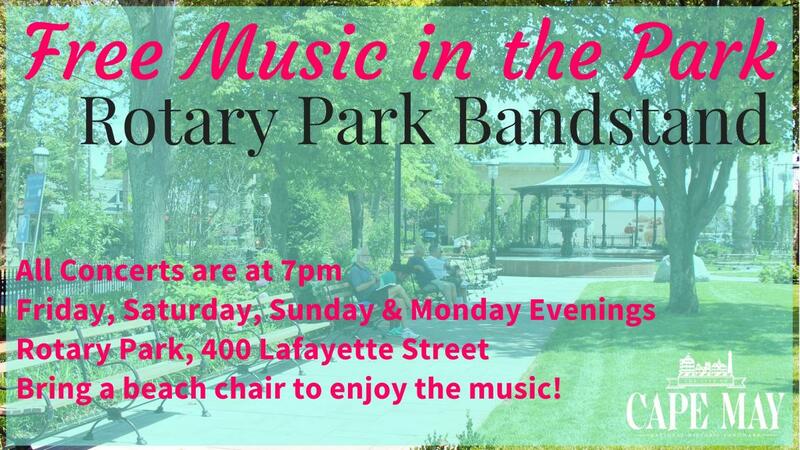 Live concerts are given at 7 pm each Friday through Monday evenings in the summer. It’s a great spot just off the Washington Mall and close to Antoinette’s. Congress Hall is hosting a Carnival on Monday night from 5:30-9 pm. You can also catch a free concert on the lawn at the Cape May Ferry at 6 pm. For the romantics, you can book dinner and fireworks viewing with dinner held at Red Store and then a trolley ride to the lighthouse to see the fireworks. Fourth of July Weekend in Cape May comes to a close with fireworks held at Congress Beach. 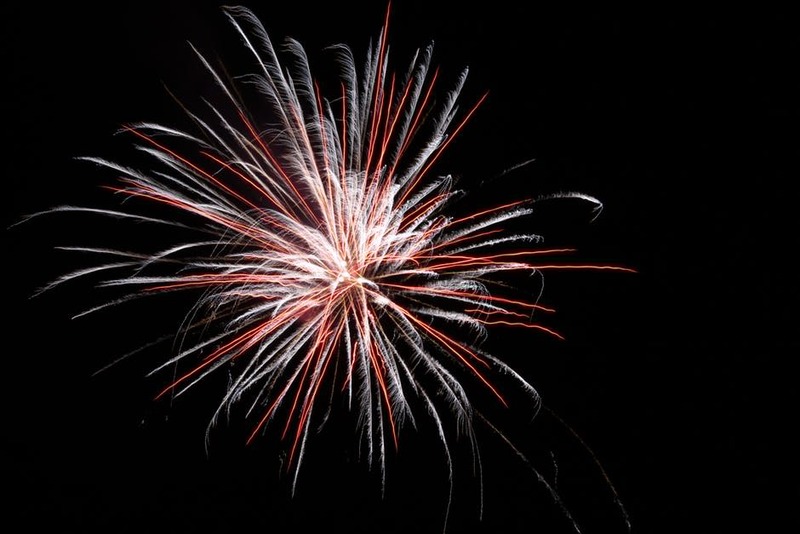 It’s a classic way to ring in Independence Day in our historic seaside town. We hope to see you this Fourth of July Weekend in Cape May and many other times throughout the year. This entry was posted in Activities, Events, Family, General by Deanna Brown. Bookmark the permalink.